‘The Federal Council may prohibit placing products intended for once-only, short-term use on the market if the benefits of such use do not justify the harm to the environment that they cause. 2. 2012-2014: It is already taken the FOEN 2 years to prepare the groundwork for an Ordinance which would implement this ban. 3. 2014: The FOEN submits 2 drafts of the Ordinance. Beforehand, those who are directly affected by the ban, must be consulted: the retailers and the consumer protection groups. The proposed ordinances were not accepted by the Interest Group of Swiss Retailers (IG DHS). They stated their intention to submit a counter-proposal. It is common practice in the Swiss political system to use the principle of subsidiarity: first voluntary measures, then inter-trade agreements, and only as a last measure, government regulation. 4. 2014: The counter-proposal of the retailers association (IG DHS) rejects a full ban on single-use plastic bags, just a ban on bags given away for free. They support charging a fee for bags, but with numerous exceptions. Altogether, the suggested approach defeats the whole purpose of the motion. The counter-proposal was rejected by the FOEN and by Parliament Member de Buman. 5. 2014: The FOEN announces that the ban should be implemented in 2015 if the stakeholders cannot find their own solution. 6. 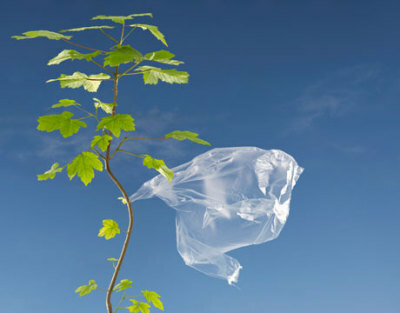 2015: The retailers and the consumer protection lobby strongly against an ordinance arguing that the legal basis for a ban on single-use plastic bags does not exist. 7. September 2015: STOPPP enters the debate, seeking to examine the willingness to cooperate of the stakeholders. In a conversation with representatives of the retailers association, STOPPP is informed that the Motion de Buman will be shelved. The duopoly Migros and Coop was opposed to the implementation of government regulation and would seek a voluntary trade agreement which would include reduction targets. The IG DHS would not divulge what such a reduction-program would look like. However, they believe that if a voluntary trade agreement can ever be implemented at all, it could take over 5 years to reach the reduction targets. On this basis, STOPPP sees this route of voluntary trade agreements as a dead end. c) The FOEN was communicating the problem of plastic pollution incorrectly. The meeting was quite constructive. Both sides agreed that more needs to be done to reduce plastic pollution. The FOEN is concerned that the legal foundations for the implementation of the motion at the ordinance level is lacking. STOPPP pledges cooperation and assistance. 9. November 2015: STOPPP meets a second time with the FOEN. In this meeting with the legal department of FOEN, STOPPP helps FOEN build the legal arguments needed to counter the opponents of Motion de Buman. The lawyer David Raedler explains to FOEN’s lawyers in meticulous detail how the existing Environmental Protection Law is completely sufficient to implement Motion de Buman with a simple regulation. A renowned law professor has performed an independent legal assessment of the motion and has concluded that the requirements for an ordinance are indeed fulfilled. Mr. Raedler presented these findings as well. The FOEN finds that a ban on plastic bags does not go far enough as it is disproportionate in relation to the whole problem of plastic pollution. There are many other sources of plastic pollution. Henceforth, the FOEN wants to advocate for a change in the Environmental Protection Act and thus achieve a far-reaching ban on disposable plastic. This is admirable, however, there is the current political landscape to consider. This would have to be adopted by a parliamentary commission and then be approved by Federal Councilor, Doris Leuthard. The motion could be derailed by politics. STOPPP argues that since the ban on plastic bags was already adopted by Parliament in 2012 and CAN be implemented quickly as an ordinance (as opposed to a change in the law), the immediate implementation of Motion de Buman at the ordinance level is the way to go. This action will have a “lighthouse” effect. It will sensitize consumers to the magnitude of plastic pollution. STOPPP also presented the FOEN with a new independent study in which it is proven that great quantities of plastic and the remains of plastic bags were found in the Rhine River near Basel. 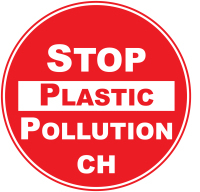 Lastly, STOPPP has offered to support the FOEN and speak in front of the Parliamentary Commission during the session on Motion de Buman and in general on the situation of plastic pollution in Switzerland to deliver the key arguments for the immediate implementation of Motion de Buman. The FOEN wants to do the right thing. Their desire to do what is good for the planet and for the residents of Switzerland should not be called into question. They are in a tough position on two fronts: public opinion and resources. On the political side, they will face criticism regardless of the route they suggest. On the one side, from environmental protection groups who will claim they do too little. On the other side, from industry-sponsored groups who have the money and power to be loud and scary. Nonetheless, the courage to act must win over the fear of noise from those who claim they will be inconvenienced. On the other front, resources, they are paralyzed just like most organizations are these days. They have a long backlog of mandates to process and lack the resources to get them through the pipeline in a timely manner. What should take only one year can take three. It is the job of UVEK and their boss, Federal Councilor Doris Leuthard, to set up the government agencies in a way such that they can implement democracy in a timely manner. STOPPP and the FOEN are in total agreement that measures against plastic pollution must happen. Bringing the scientific hard facts and legal arguments, we will continue to work for the immediate implementation of Motion de Buman. The job of the FOEN and of Parliament will be much easier when they know that they have the public's support. B) empower the agencies to implement the will of the people in a timely manner.